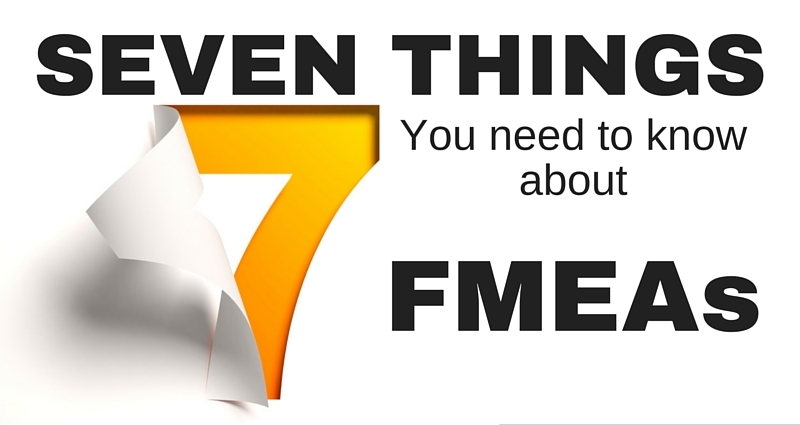 Here we give you a high-level understanding of Failure Mode and Effects Analysis boiled down into the seven things you need to know about how FMEAs work. No matter how much effort goes into making sure something works as intended 100% of the time, things go wrong. We can sit around and wait for something to go wrong, or we can anticipate problems before they happen and reduce the risk of failure – that is what an FMEA can do for you. An FMEA is a proactive tool that guides a team through a series of steps and delivers a comprehensive analysis of potential failures and their corresponding effects. 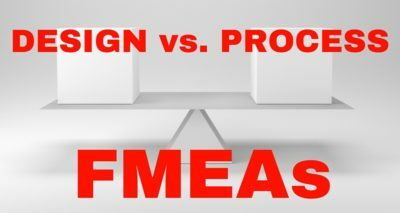 In the later stages of the FMEA, these are prioritized based on a Risk Priority Number (RPN) that is a function of the severity of the failure, the likelihood of it occurring and the ability to detect it before it happens. FMEAs are a team activity; they are ineffective when done by just one person. 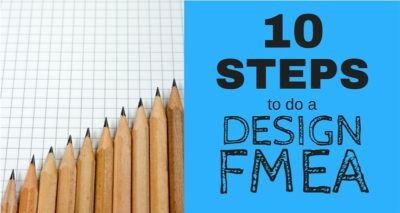 The rich input needed for FMEAs depend on the broad knowledge of several people from different disciplines, each with a different perspective of the product or process under study. Shallow input will yield shallow output. An FMEA is a tool to identify and prioritize the risks associated with potential failures and effects of those failures. 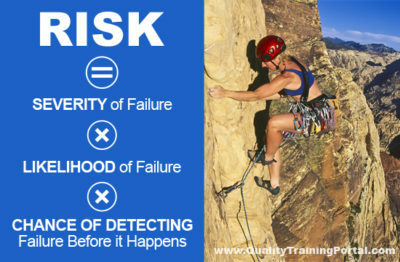 With that information, the team (or others in the organization) can work to mitigate the most serious risks. As improvements are made, the failures and effects addressed need to be reassessed to make sure the level of risk has been lowered to an acceptable level. Potential failures and their associated effects are rated on three scales: Severity, Occurrence and Detection. Accurate rankings on each of these scales relies on the team understanding and being able to relate to these ranking scales. Company specific examples meaningful to people who work in the organization will make the ranking scales easier and faster to use and the resulting evaluations will be more accurate. Customized ranking scales need to be developed before the first FMEA is conducted. 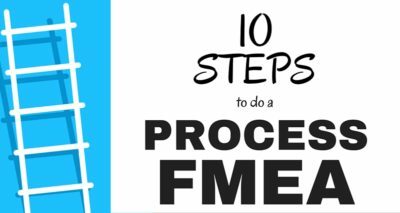 When an organization starts using FMEAs, they are typically done on existing products or processes. However, they are most powerful when used on new products or processes. They will have their biggest impact by addressing unexpected problems before they occur. Do an FMEA to satisfy auditors and stick it in the drawer until your next audit and you have just wasted a rich source of information that can make your products and processes more robust. In addition to using the FMEA to identify the most pressing improvement opportunities they should also be revisited when changes have been made to see if new, unacceptably high risks have been introduced. FMEAs can also serve as the basis of a Control Plan. A Control Plan provides specific instructions on how each component is to measured and monitored.